Fortinet on Tuesday announced FortiOS 6.2, the annual upgrade of its flagship operating system, as well as an SD-WAN ASIC designed to drive security-driven networking. The company made the announcements at Fortinet Accelerate 2019 in Orlando. FortiOS 6.2 includes more than 300 new network and security features in the latest FortiOS, which covers the vendor’s security fabric, including networking, endpoint, application security and cloud. The new SD-WAN ASIC is a security-specific processing unit developed for SD-WAN and will power the new Fortinet 100F next-generation firewall. For partners, that means more capabilities and solutions to sell. “As we implement more SD-WAN capabilities, partners can offer more of an end-to-end solution. They can secure a network at the branch, they can provide data-center capabilities, they can provide cloud and endpoint or SD branch,” said Maddison. Fabric Expansion: FortiOS 6.2 provides enhancements to Security Fabric elements including: FortiADC — application delivery controller; FortiToken — user and device authentication tool; FortiCASB-cloud — cloud access security broker for public clouds; FortiDDoS — distributed denial of service protection; FortiNAC — network access control; and VDOM — virtual domain. Secure SD-WAN: Advanced SD-WAN capabilities now include an expanded set of best-of-breed WAN functions and services. Some benefits include: WAN link remediation; on-demand WAN bandwidth measurement; overlay controller to better manage large and complex connectivity issues; aggregate overlay bandwidth sharing between multiple connections to enhance performance and eliminate latency issues; and high-speed application recognition to accelerate packet steering to ensure that end users receive the best user experience and application performance at all times. Multi-Cloud Security: Fortinet’s FortiGate NGFW now integrates with Kubernetes through FortiOS 6.2 Fabric Connectors to deliver new container security capabilities; FortiMail will now integrates with O365 Exchange online, providing organizations with advanced threat protection to ensure their email is secure; and FortiGate-VM new Virtual SPU Architecture supports high performance applications in the cloud. Open Ecosystems: FortiOS 6.2 enhances Fortinet’s single-pane of glass visibility and management across the growing suite of Fortinet security products, third-party solutions from the Fortinet Fabric-Ready partner community and native third-party connectors. The integration of new security capabilities and automation functions in the Security Fabric enable automated threat assessment and response holistically, and compliance assurance through an advanced risk-ratings analysis calibrated to industry standards. Automation and Orchestration: FortiOS 6.2 significantly expands the single-pane-of-glass automation, orchestration and response features across the Security Fabric with FortiManager and FortiAnalyzer. AI-based Security: FortiGuard Labs has developed the FortiGuard AI threat detection and analysis system. Its artificial neural network, comprised of more than 9 billion interconnected nodes, rapidly detects and categorizes threats and generates a highly accurate threat intelligence feed that is actively consumed by Fortinet solutions. FortiGuard Labs’ AI-based threat detection system has been integrated into FortiGate NGFW, FortiWeb, FortiMail, FortiClient, FortiSandbox and FortiSIEM in order to accelerate threat detection and response. Automated orchestration uses intelligence inputs from sources including FortiGuard Labs’ AI-enhanced threat intelligence, third-party feeds and local intelligence provided through the security fabric. It also enforces actions in response to AI-based UEBA detection in FortiSIEM. 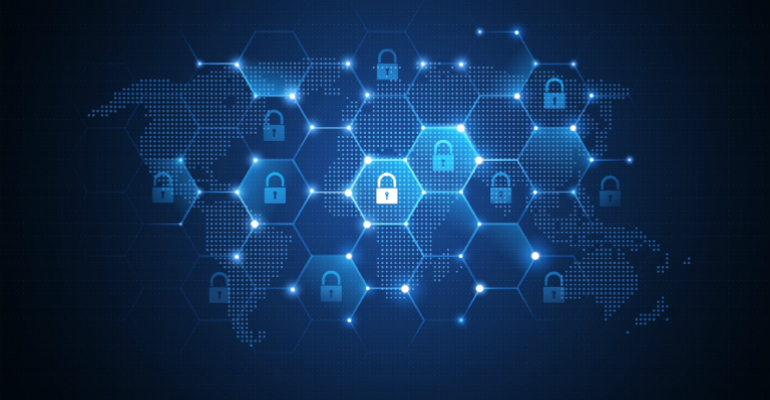 Fortinet already has rolled out network security expert training for partners on FortiOS 6.2 and the new SD-WAN ASIC. Maddison noted that Fortinet is aware partners want to add more value to add more services and become an MSSP. “The way we build our architecture allows our partners to add a lot of value around providing design services or architectural services or management services,” said Maddison.